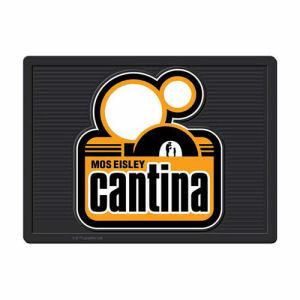 We have Just Sold out of Star Wars Mos Eisley Cantina Logo 24 Inch by 18 Inch Utility Mat. This Item is unavailable at present. From the Star Wars collection by Plasticolor. Star Wars Mos Eisley Cantina Logo 24 Inch by 18 Inch Utility Mat.